Andrew teaches at Grimsby, Horncastle,The Heritage Skills Centre in Lincoln, NCCD in Sleaford, and – new this year – Redhill Farm, Gainsbough. All classes are suitable for beginners and students with previous experience. Please email me for further details. West Ashby Village Hall, Horncastle: the six-week term starts on Wednesday, 23 January 2019. National Centre for Craft and Design, Sleaford. 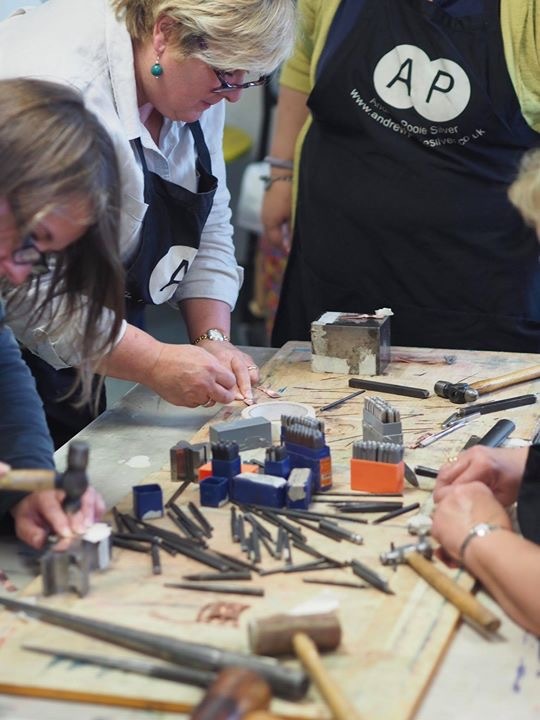 “Silversmith Saturday” – 26 January 2019, a one-day class from 10.00 to 16.00. Terms are for ten weeks starting on 14 January 2019. Taster day class – Saturday, 9 February 2019 from 10.00 to 16.00.